Todd Smith is a passionate advocate for workplace safety and injury prevention. He has experienced first-hand the devastating effects of a workplace tragedy. Todd’s younger brother Sean, an auto mechanic, was working under a limousine which was supported only by a jack. The jack failed and the car came down on Sean, crushing and killing him instantly. He was just 26. While Threads of Life did not exist at the time of Sean’s death in 2000, Todd was first introduced to the organization a few years later by his father, who was a volunteer during Threads of Life’s early days. 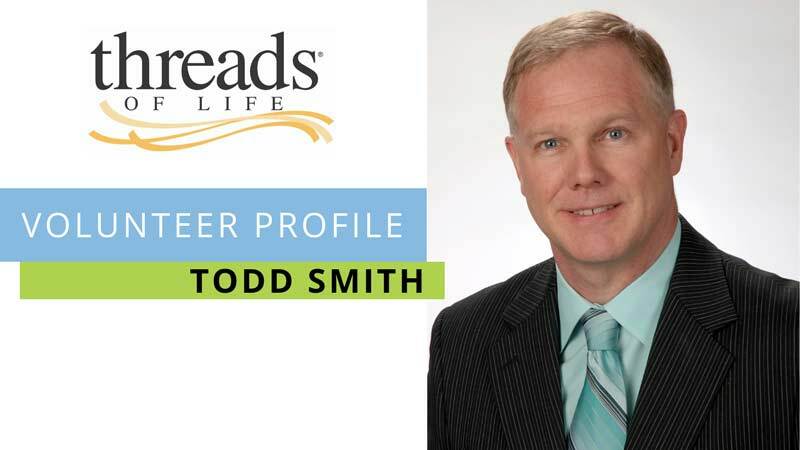 It would be several more years before Todd felt ready to start volunteering for Threads of Life, when he trained to become a member of the Speakers Bureau. “It seems strange since my brother’s accident was 18 years ago” he says, “but with a busy schedule, and due to the fact that I had a lot of anger after the tragedy that I felt wouldn’t have been very helpful, I came into Threads of Life only recently in January 2016.” Shortly after completing Speakers Bureau training, Todd shared his story in the Summer 2016 edition of the newsletter. Todd recalls that his favourite memory about his work as a volunteer with Threads of Life was following a speech he gave to a large audience from the Ontario Ministry of Labour. “The Deputy Minister came up to me afterwards to thank me but to also let me know that my story and others were being heard and he would do everything in his power to make some real change. This is obviously the goal for all of us at Threads of Life and hearing that message from a high level within the government helps me to keep going to ensure the message continues to be heard and change is adopted.” In addition to volunteering on the Speakers Bureau, Todd was instrumental in securing financial support for Threads of Life from his employer, Terrapure Environmental, which is now a national Steps for Life sponsor. I had some of my best experiences working for, and with Todd. We shared alot, and it felt really good to know that i could trust him. So many people can talk, and that they do, but Todd, lived it. Congratulations Todd.